His detention is not connected with a court decision on his extradition to the USA. Ukrainian businessman Dmytro Firtash was detained in Vienna on 21 February. The Vienna prosecutor's office told Deutsche Welle that technically, his detention is not connected with a court decision to allow his extradition to the USA. He was detained on a European warrant issued by Spain where he is suspected of money laundering. In November, Spain declared Firtash and his two Ukrainian accomplices wanted in the multi-million-euro money laundering case which involved purchase of Spanish real estate. 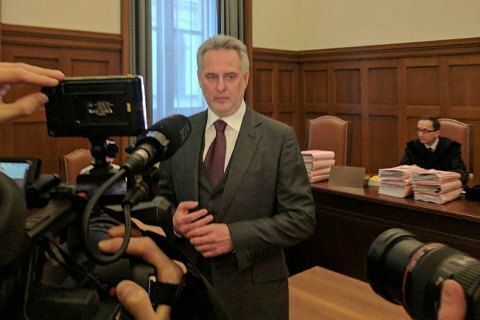 The USA requested Firtash's extradition because the FBI suspects him of corruption while obtaining a permit to develop a titanium deposit in India. Austrian Justice Minister Wolfgang Brandstetter will have a final say with regard to Firtash's extradition. Masks off. What is behind Russia's recognition of separatist documents?